Playing with electrical outlets in a home can cause severe injuries or worse to small children. More than 2,400 children every year end up in emergency rooms after suffering life-threatening shocks or burns from a jolt of electricity. Parents or guardians can put their mind at rest, though, with a relatively easy and inexpensive fix — tamper resistant receptacles. This protects little ones by preventing them from sticking keys and other objects into an outlet. Every new parent worries about their small children playing with an outlet and getting hurt badly. They run to the store and snap up plastic outlet caps that fit snuggly into all the receptacles in their home. However, a study by Temple University found 100 percent of children between 2 and 4 years old could pry these caps off the sockets in less than 10 seconds. Worry no more. Tamper resistant receptacles, or TRRs, offer electrical safety protection. They prevent your curious children from sticking anything into the socket. You will never have to imagine rushing your baby to the emergency room again. National Electrical Codes mandated in 2008 that all new construction of homes install these safer, child-proof outlets. The tamper resistant receptacles look exactly like normal electrical outlets. However, TRRs feature one big difference. They contain internal coverplates, meaning the advanced electrical safety device provides an internal shutter mechanism. So, the shutters only open when pressure simultaneously and equally gets applied, such as when inserting a plug. While the design stops children from putting any objects into the sockets, it still accepts traditional plugs like normal. Besides their ability to save six to 12 children’s lives each year, the next best thing is the low cost. Builders say the tamper resistant receptacles add less than $50 to the cost of the average new home. Additionally, these improved receptacles cost just 50 cents more than traditional outlets, depending on the type and style installed. The average home requires about 75 outlets. 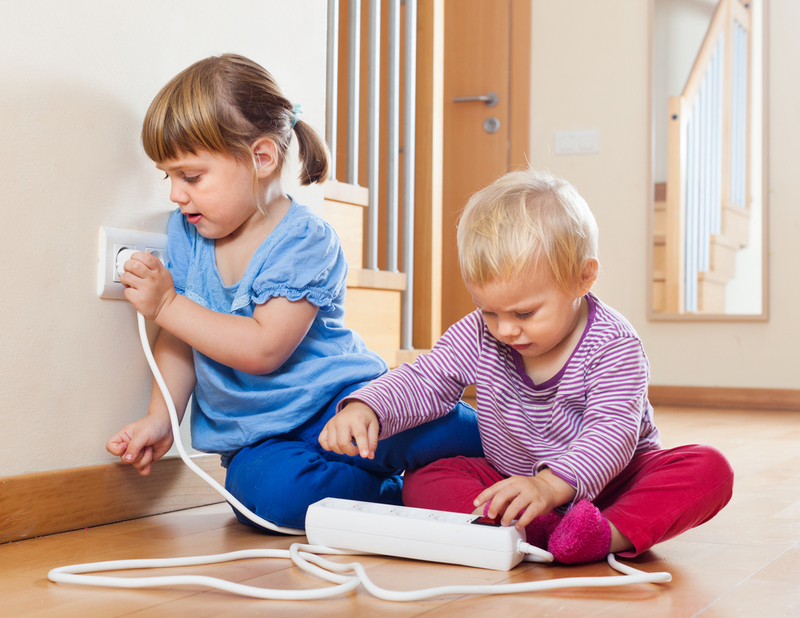 For a miniscule cost, your children can become completely safe from an electrical outlet accident. Unfortunately, many parents remain unaware of this life-saving technology. Henderson Electric Can Make Your Home Safer for Your Children! Our skilled and experienced electricians at Henderson Electric of NWF jump at the opportunity to protect your family. Give us a call today, to gain peace of mind with small children in your home. We will happily replace outlets with these amazing, affordable and child-proof tamper resistant receptacles!